Dyslexia 101 – Vindia G. Fernandez, Ph.D. Most parents have at one time or another observed their young child reversing a number or a letter as they learn to write or interchanging letters as they read. You may have even asked yourself, “Does my child have dyslexia?” Fortunately for most parents, this isolated behavior, especially in young children is not sufficient evidence of dyslexia. Dyslexia is better defined as a brain-based disorder in which an individual has unexpected difficulty reading words accurately. In other words, children with dyslexia have difficulty matching letters and groups of letters (graphemes) with their corresponding sounds (phonemes). For example, a child with dyslexia may read a word like “bake” and say “back”, or they may spell the word “baked” as “bakd.” Grapheme/phoneme correspondence that is unexpected for a child’s age and grade is at the root of dyslexia and can translate to more complex problems with reading, including slow, labored reading, difficulty understanding longer passages, and poor spelling. So while letter reversals can show up in dyslexia, it is actually a much more complex topic that I will discuss in this article. Dyslexia is known as a developmental, neurobiological disorder. In other words, scientists have discovered subtle differences in the brain’s architecture between children with dyslexia and those without. The good news is that children with dyslexia usually respond well to structured, intensive remediation, and the brain responds to intervention by following suit. 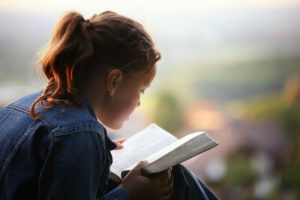 When a child learns to read well, the brain actually develops stronger connections to the parts of the brain responsible for visualizing words, saying words silently in one’s head, and thinking about their meaning. Although dyslexia is found in children with or without other developmental disorders and among children of variable intellectual abilities, there are some disorders with which dyslexia is most commonly found. It is common for children with early speech and articulation issues to struggle with reading. In fact, the same systems in the brain that work together to produce language also work together when a child reads. Dyslexia is also commonly found in children with Attention-Deficit Hyperactivity Disorder (ADHD). If you think about it, it makes sense. Children who have difficulty with concentration have a harder time focusing on reading sentences and longer passages. They find reading frustrating and have less practice reading in the long run in comparison to their peers without ADHD. If your child is having difficulty sounding out words, reading more slowly, spelling, or having trouble answering questions about stories they have just read, they may benefit from an educational assessment. You may want to discuss these issues with the child’s teacher and resource specialist who may suggest monitoring your child’s progress with brief, periodic testing. The standard of care involves using tests with information about your child’s placement according to their age and grade to monitor their progress. If despite appropriate instruction, your child continues to struggle and fall behind in reading, a school psychologist may recommend an Individualized Educational Program (IEP), where specific targets for intervention are identified. In some instances, an assessment with a broader scope or by a community practitioner is appropriate. If a child does not have reading abilities that differ significantly from their overall cognitive abilities, children may be denied more intensive reading intervention in the school setting. In some instances, children and adolescents who are very bright have worked very hard to learn how to decode new words, but may still read slowly or have a hard time with comprehension. When a school-based assessment leaves unanswered questions, an Independent Educational Evaluation (IEE) conducted by a community based provider may be appropriate. Additionally, if you are concerned that your child may have another disorder that is not assessed in a typical educational setting, such as ADHD, or your child has a medical history that could be contributing to their overall brain functioning, a neuropsychological evaluation by a licensed clinical psychologist with specialty training in pediatric neuropsychology is recommended. I routinely screen for dyslexia in my own pediatric neuropsychology practice, as I believe it is one of the most important skills a child can have. After about the 4th grade, reading is the window to learning about history and science and many of the other interests that can enrich a child’s life. Without strong reading skills, children can fall behind in other subjects as well and their confidence and self-esteem suffers. If you suspect your child may have dyslexia, I recommend not delaying an appropriate assessment. There are some strategies that parents can utilize at home to help strengthen their child’s reading skills. One of the most important things is to help build a child’s phonological awareness, i.e. strengthen a child’s ability to sound out groups of letters. Explicit instruction in phonics is critical, as whole-word or naturalistic approaches are not as effective for struggling readers. 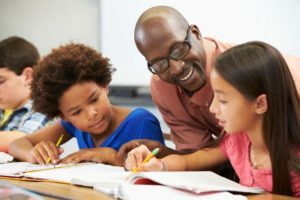 In order to improve reading fluency, your child’s ability to read words quickly and efficiently, I suggest using flash-card techniques that improve “sight word” reading. In other words, as long as the child understands the rules for sounding out certain words, the focus can shift to improving your child’s ability to recognize words quickly without having to sound them out. I typically recommend the parents provide their children with a variety of high-interest books, at or below their reading level. The idea is to make reading fun and increase a child’s exposure to text. Allow plenty of time for leisurely reading without the stress of intervention. Teaching reading skills can and often does create tension between a well-meaning parent and a frustrated child. 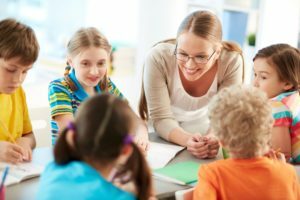 In those instances, it may be beneficial to have an educational therapist provide additional instruction in the home and/or help with homework completion. For additional instruction outside of the school setting, I often recommend contacting a local Lindamood-Bell (http://lindamoodbell.com/) center or locating a practitioner or educator certified in the Orton-Gillingham approach (http://www.ortonacademy.org/for-parents/find-a-teacher-tutor/). Recommendations for reading intervention are usually tailored for each child or adolescent based on their reading ability and learning style. No one approach fits all. I recommend working with a qualified professional to create a treatment plan that fits your child’s needs.